Lazy Beach Brewery – Beach Cleanup this Saturday! Home Uncategorized Beach Cleanup this Saturday! Our beach cleanup has been rescheduled for this Saturday, April 6 @ 10 am. It’s time once again to join together and use our forces for good! 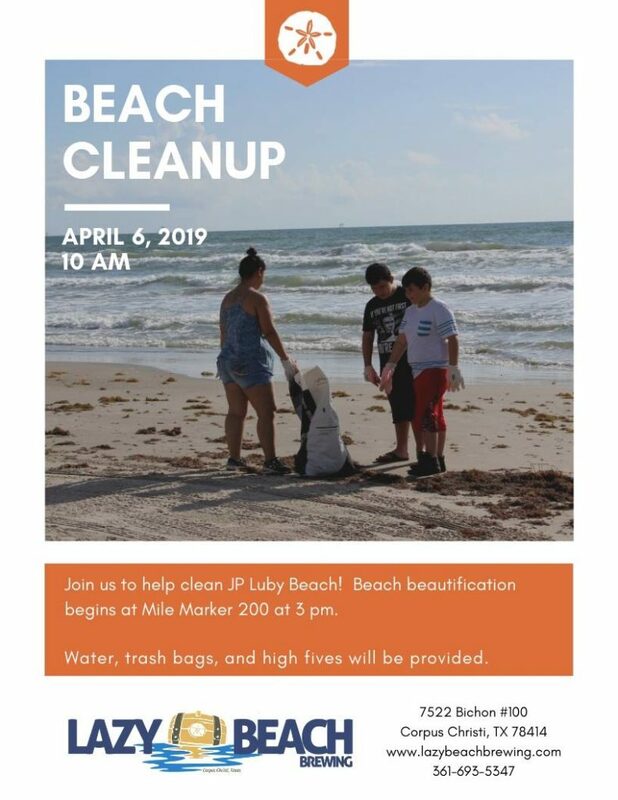 Please help us clean our stretch of JP Luby Beach! We will be meeting at mile marker 200 at 10 am then working our way down the beach. Our goal is to clean one mile of beach for this event. Trash bags, gloves, water, and high fives will be provided. Close-toed shoes, hats, & sunscreen strongly recommended. It’s sure to be a fun day, this is a family friendly event. Drinking is allowed, just make sure you are using a beach friendly cup!